The promise is in the name, and so far I haven’t been disappointed. I’ve tried every app like this one that I could find on the App Store, and this is by far “the best bank for its buck” I’m sure you could find one that has more features, but for a monthly subscription. It does what it promises and wakes me up when I’m already close to waking, and it’s gotten me to work on time every day that I’ve used it. I feel significantly better on mornings when I use Sleep Better than on mornings when I don’t. Great app. 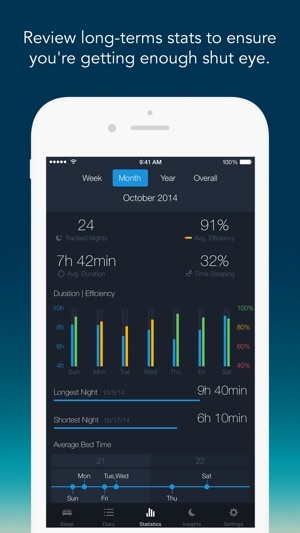 The only thing I wish they’d change is more comprehensive sleep statistics and information. I don’t know what some of their charts mean. For instance, how do they calculate my sleep efficiency? 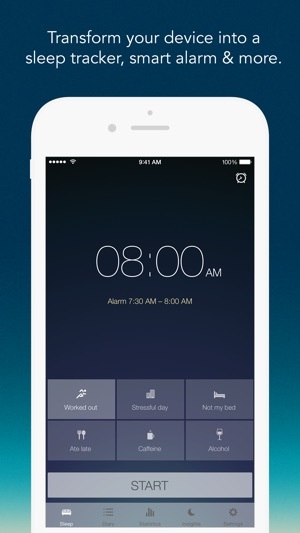 To me, 96% sleep efficiency should mean that I wake up feeling peppy and walking on sunshine. While I have woken up feeling much better most nights, there have been one or two mornings when I woke up feeling groggy because I’d only allowed myself five hours of sleep (not the app’s fault) and it still said I had 96-98% sleep efficiency. That doesn’t make sense to me unless they just mean out of the little sleep I happened to get that night. 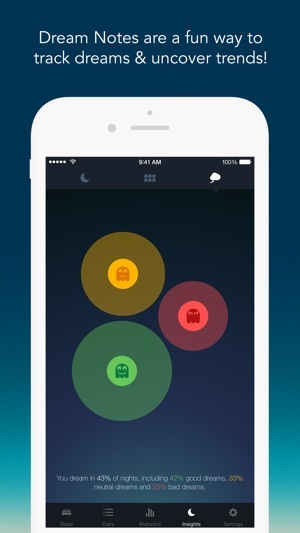 Overall, a great app, and I highly recommend it. I downloaded this app after reading about it somewhere and it’s pretty impressive. I’ve tried a couple of apps like this before but this one is by far the best and I haven’t even done the upgrade yet, which I’m planning to do. My favorite part of the app is the alarm because it does not blare music at me jarring me out of my sleep which is the #1 reason I don’t use alarms. And for some reason this alarm doesn’t do that to me. The sheer thought of an alarm going off makes me anxious causing me to wake up several times during the night trying to beat it so it doesn’t jar me out of my sleep which to most people sounds rediculous. Lol. But really, who wants to be “alarmed”out of their sleep every day? 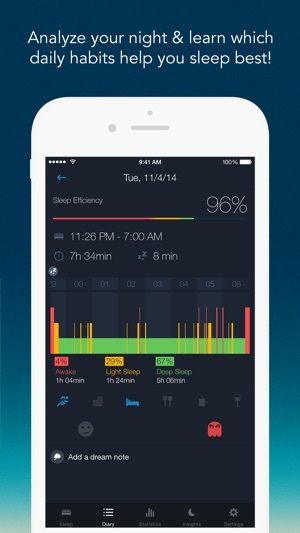 That said, I know my sleep patterns are erratic and I’ve been trying to do better at getting the appropriate amount of sleep and this app is a great tool to help me determine what activities during the day may be affecting my sleep. Im not, necessarily sleeping longer yet, but after just 3 days I am resting more soundly which helps me get my day off to a better start. I really like the style, ease of use, and functionality of this app! It's really cool how you can use this app without having to own a smart watch/Fitbit etc. It's cool how I can see exactly how long I've been out for, how long in deep sleep, light sleep etc. Would definitely recommend to at least try it, as it's pretty unique! The one thing I would like to have is being able to wake up and change the time you get up if you feel exhausted or decide you just want to sleep some more than usual. As of now, the alarm will keep going off until you end the data collection. Sometimes I have to turn it off, but really end up sleeping for another 2 hrs, so my data is incomplete. 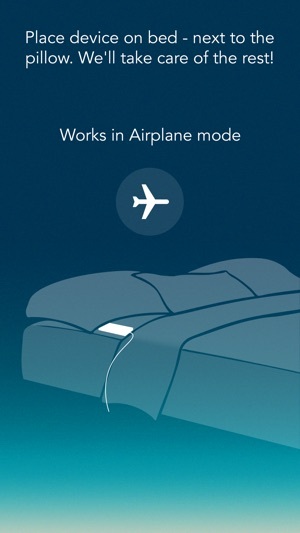 Although maybe the point of this app for some is to take that option away so they have to get up? Idk, for me I'd be more interested in tracking a realistic time of getting up vs forcing myself to.